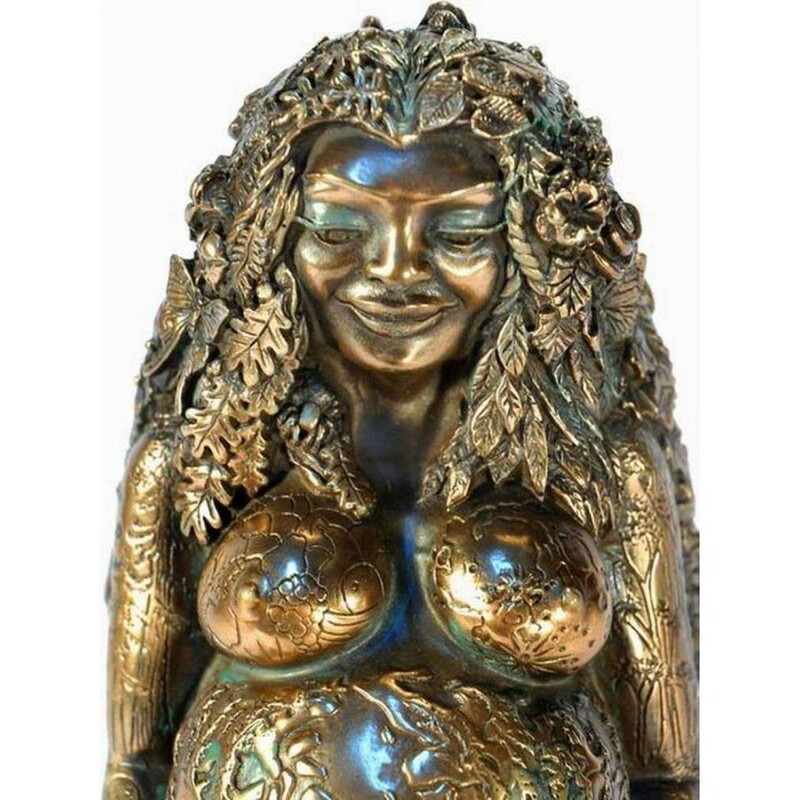 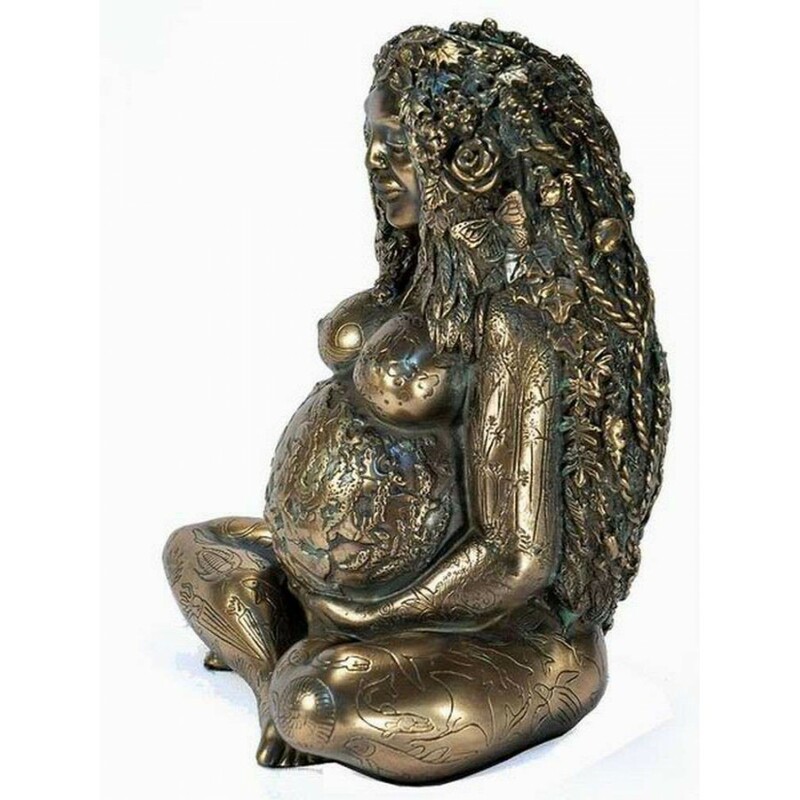 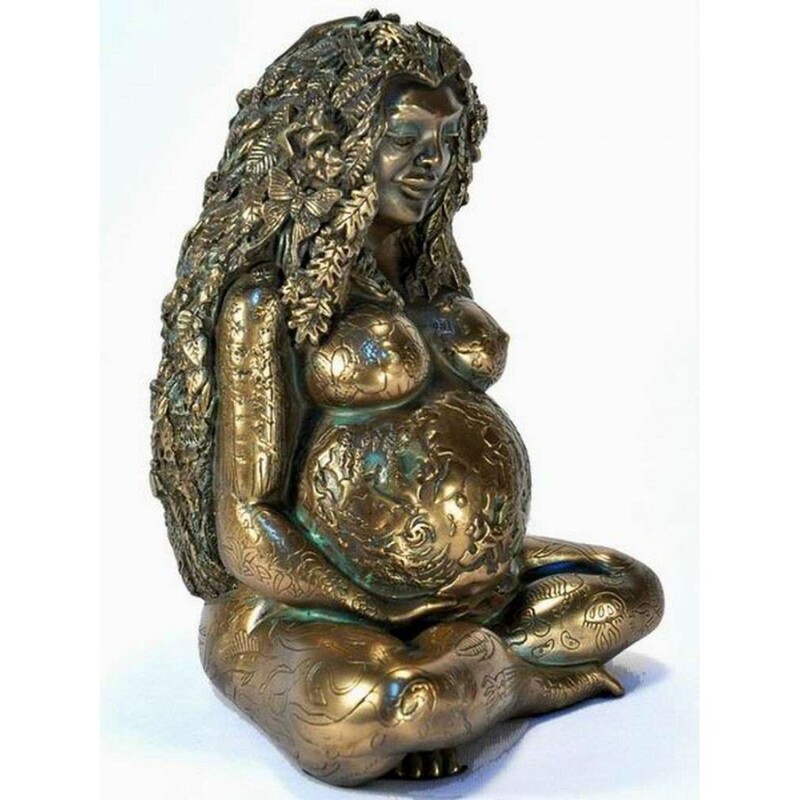 The Bronze Millennial Gaia Statue brings our consciousness of Mother Earth into a physical form. 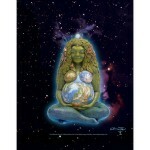 Designed by spiritual teacher and artist Oberon Zell. 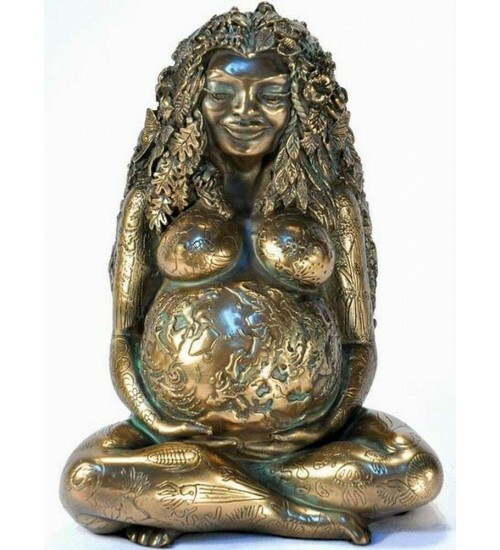 In 2000, artist Oberon Zell created this statue to celebrate Mother Earth in the new Millennial. 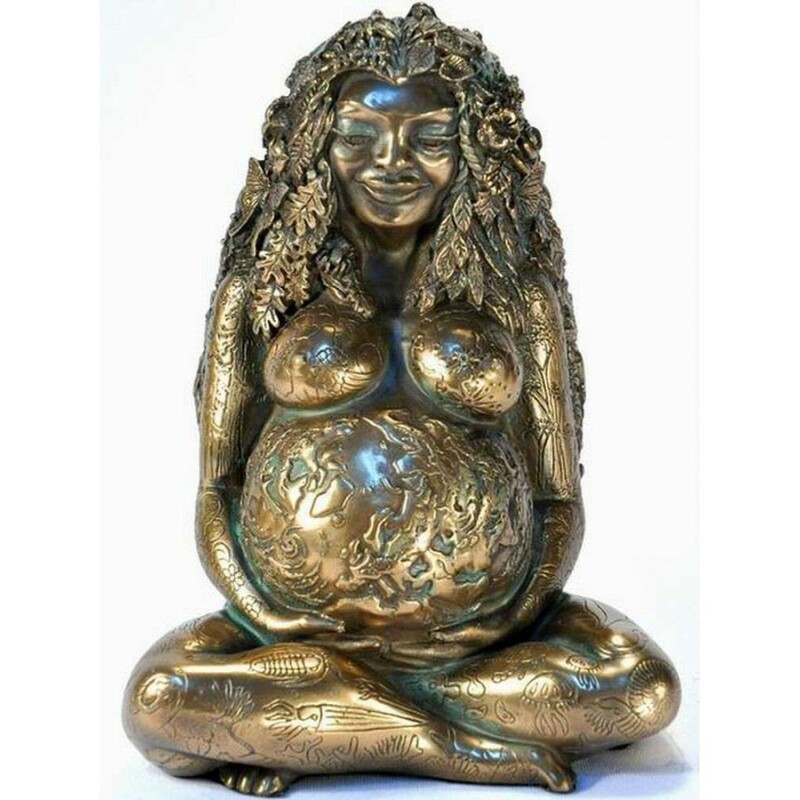 It quickly became one of our best sellers and is truly a gorgeous altar piece! 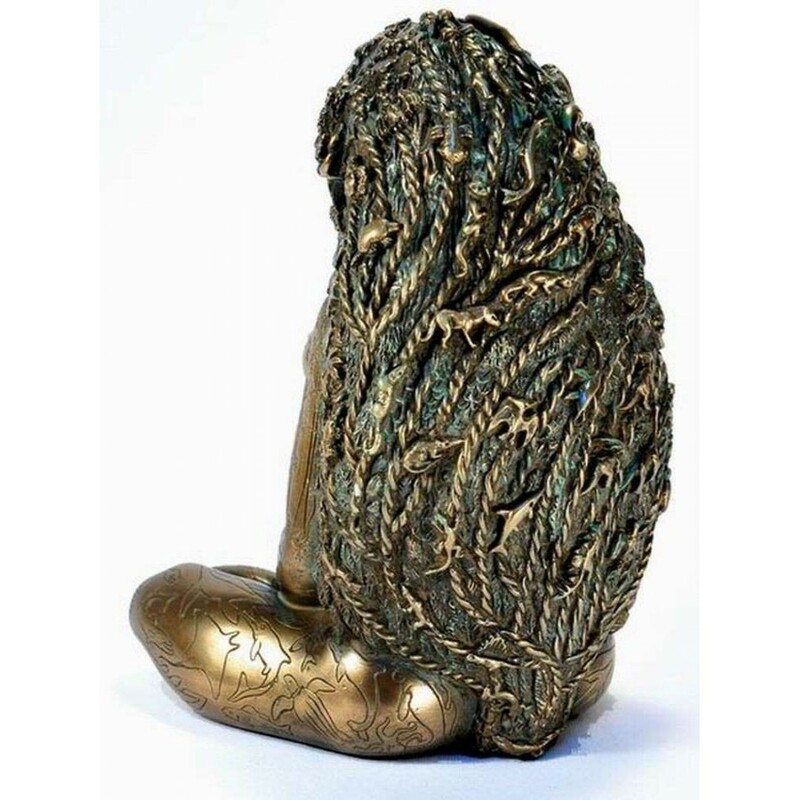 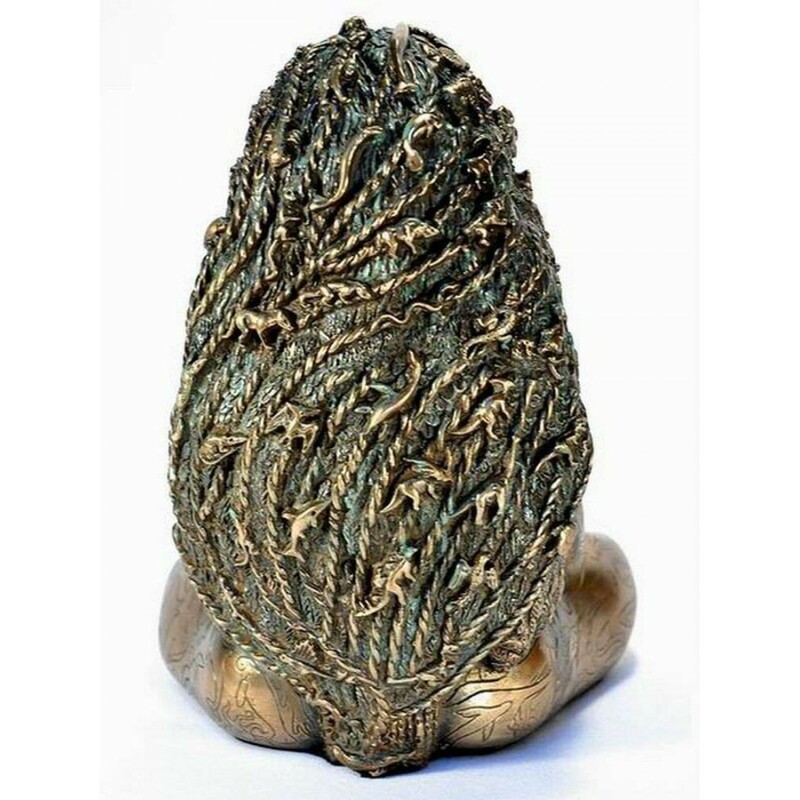 Made of bronze infused resin, she stands just about 7 inches high with an antique green patina. 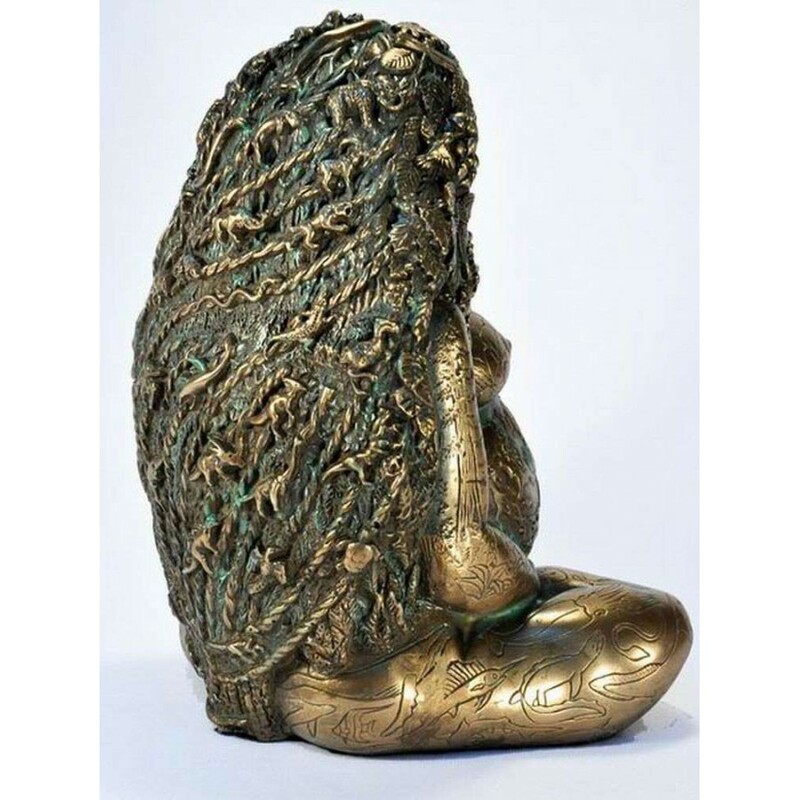 Item Number: PT-12327 | Approximate Size (Inches): 6.00 wide x 5.00 deep x 7.00 high | Approximate Shipping Weight: 6.00 lbs.